Various efforts are made to improve the quality of biomass fuel so that it can be used especially on existing power plants. Power plants are the largest users of biomass fuels today as well as one of the main targets for reducing emissions by renewable fuels or carbon neutral fuel. Characteristics of raw materials and power generation technology becomes an important consideration in determining the technology of the fuel production process. The palm oil industry with the number of CPO producers (Palm Oil Mills) amounting to thousands (Indonesia and Malaysia) and the area of ​​oil palm plantations of 12 million hectares in Indonesia as well as 5 million hectares in Malaysia make it a target source of biomass raw materials. 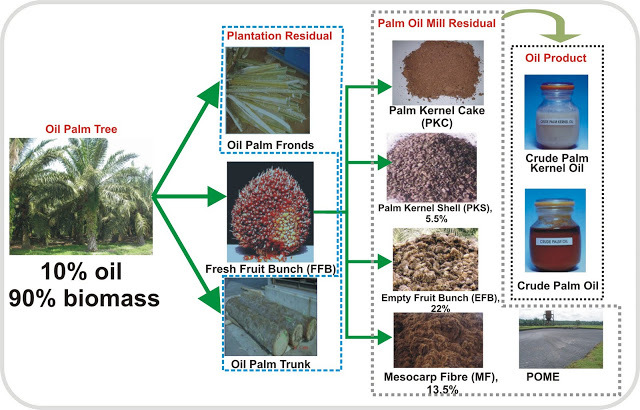 In the palm oil industry the amount of biomass produced is much more than oil or CPO as its main product, ie 10% oil and 90% biomass as illustrated below. 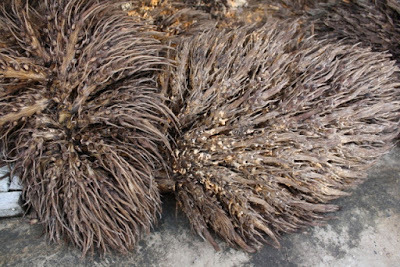 After the previous palm kernel shell (PKS) to fuel mainstay and sought for power plants because the properties are very appropriate, especially those using fluidized bed combustion (FBC), well next empty palm bunches or EFB which is very abundant and has not been used the next target for biomass fuel sources. If the PKS can already be used (just a little cleaning) by the power plants, then for EFB need to processing prior to be used because of the moisture content, size, shape and sometimes the chemical properties. EFB has high chlorine and potassium content so not all power plants are compatible with the fuel. If EFB is made into EFB pellet then FBC generator as used PKS can use it but for pulverized type is not suitable, because of the high chlorine and potassium content. Such conditions create innovations so that EFB can be a suitable fuel for pulverized power plants that are widely used today. The innovation is a technology that can reduce the content of chlorine and potassium in particular, and increase its energy content. The technology is hydrothermal carbonization (HTC) or wet carbonisation so that the chemical ash in the form of chlorine and potassium can be dissolved by dissolving in water such as leaching and also its energy content can be increased by carbonization. In addition, the EFB condition of the palm oil mills with moisture content above 60% or wet biomass also simplify the application of hydrothermal carbonization technology. The amount of EFB is huge, it is estimated that Indonesia alone reaches more than 35 million tons and in Malaysia is also very much that is more than 15 million tons, or from two of the largest producer of CPO at present the potential of EFB that can be processed reaches more than 50 million tons / year. In addition to addressing environmental issues, EFB processing will also drive a sizable economic sector. With hydrothermal carbonisation (HTC) technology, EFB properties can be upgraded to fit the current powerplant commonly used. Fears of power generation due to high chlorine content, and potassium can be overcome with such technology. 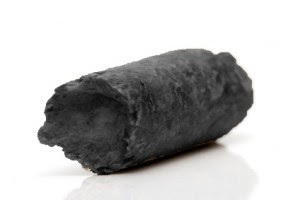 To save transportation costs while facilitating handling, storage and usage, EFB products that have been processed with hydrothermal carbonisation or HTC EFB (EFB hydrochar) are further densified into pellets and briquettes. It seems that this technology has provided an answer as well as opening up new opportunities for EFB processing into favorite biomass fuels such as wood pellets and PKS.